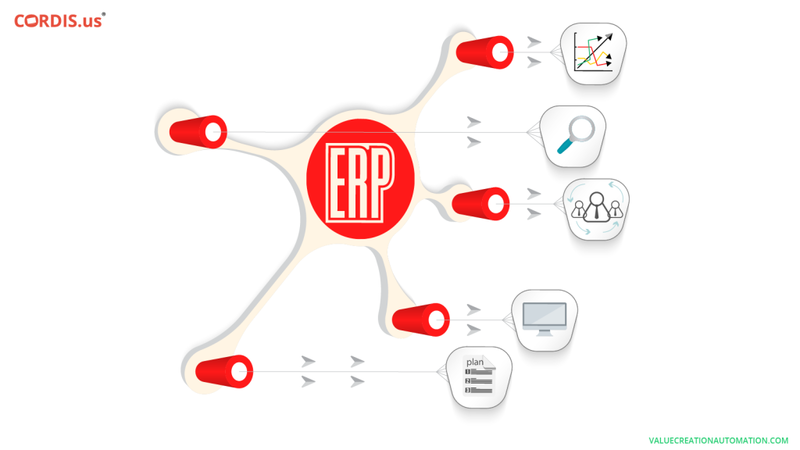 At a time when the traditional On-Premises ERP software faces criticism across the business arena, the advanced cloud-based business management software is being adored by companies worldwide. Especially, the Small and Large Enterprises (SMEs) are celebrating the euphoria, as the advanced cloud-based ERP software brings a new hope for them. Enabling SMEs in reaping complete benefits of disruptive technologies such as Automation, Software-as-a-Service (SaaS), Cloud-Computing and Artificial Intelligence (AI), advanced BPM software provides an equal opportunity to grow and succeed. In the prevailing condition, where the Value-Added Tax (VAT) is being largely implemented in many countries of the world put businesses in doldrums, the market is volatile and customers’ behavior is uncertain, it is an advanced business automation software that can support SMEs in gaining competitive advantages. The CEO, Gulf Capital, Dr. Karim Al Solh believes, “SMEs and entrepreneurship are key to ensuring economic growth, innovation and job creation in the region.” All these facts give out a clear message that SMEs are the business sector that the leaders and the country are counting upon. And, therefore, by supporting SMEs in transforming, advanced business automation software play an equally important role in the growth and development of an economy as well. Why is cloud-based business process automation software being considered to be a new hope for the SMEs? Technologies are continuously evolving and the digitization is giving birth to the new form of businesses. Competition, among businesses, is tough and is continuously increasing. On the other hand, customers, enabled by smartphones and the Internet-of-Things (IoT), are well informed and retaining them and earning their loyalty has become a serious challenge. 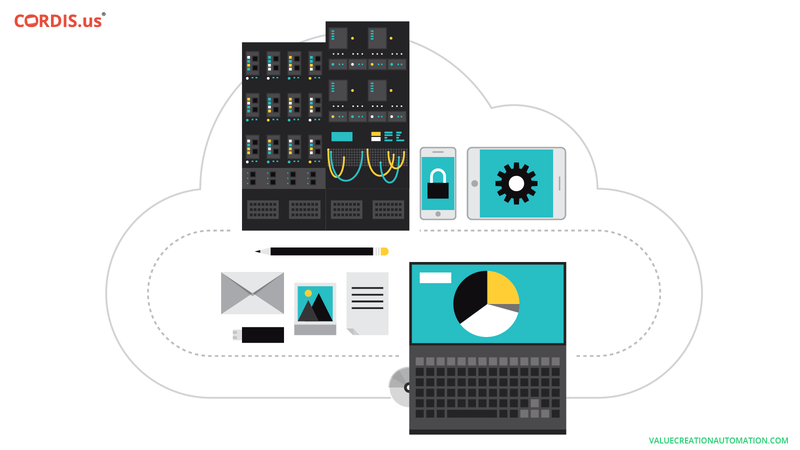 In such a rapidly transforming market, Large Enterprises have for long been dependent on the traditional On-Premises ERP software. But, due to a huge investment required in installation, configuration, update, and upgrade, such traditional business management software stayed out of the reach of the SMEs. But, not anymore. The advanced cloud-based business automation software is designed to support both SMEs as well as Large Enterprises in enhancing productivity, improving profitability and also in winning the confidence of business stakeholders. Although governents support and encourage the growth of SMEs, it is the modern business problems, which leads to their inefficient performance. Following is some of the problems that thwart the growth of Small and Medium Enterprises (SMEs). 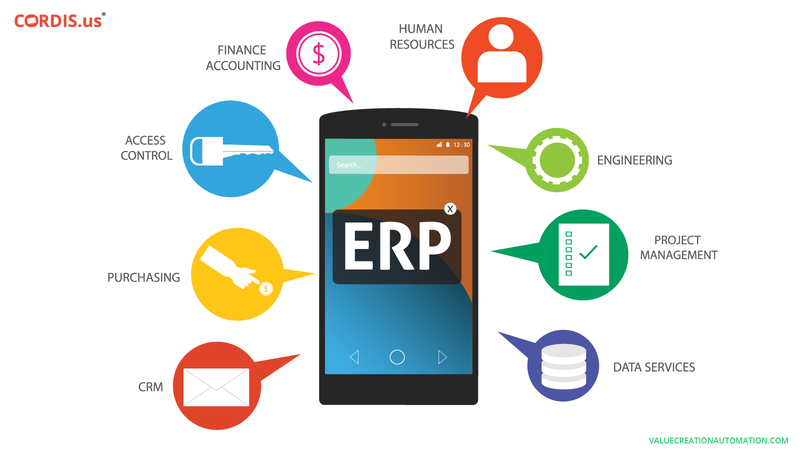 An advanced ERP software, for instance, SAP, Microsoft Dynamics, Oracle and many more, support businesses in fighting such modern-day business problems in comparatively less capital required. On the other hand, there is SaaS-based business automation software such as Value Creation Automation (VCA) that allow small businesses in running diverse business operations successfully in almost zero capital requirement. With no investments required on hardware, license fees, servers, software, IT team and other related infrastructure, a SaaS-based automation software helps in significant reduction of overall operational costs of SMEs. However, there is many other features of an advanced business automation software, which put the SMEs in a state of euphoria. With automation, tasks are performed within the allocated time and budget. Error-rate is reduced and process efficiency is enhanced. Entire business data, statements, and reports are saved in the cloud, which adds to the flexibility to perform diverse business operations from anywhere and anytime, even through mobile phones and tablets. The BPM software such as VCA consists of a visual dashboard, which records and reports every single transaction the real-time. Moreover, it integrates processes, functions, and people at one single platform, giving an enhanced business control to Owners & Directors. More than making product-oriented strategies, an advanced process automation software supports companies in designing customer-oriented strategies. Make processes responsive and transparent, encouraging customers to remain loyal even in the long run. Having implemented an advanced business software, businesses can have a clear picture of overall business performance. It helps in winning the confidence of investors, creditors and other stakeholders, including tax authorities as well. With enhanced visibility, Owners, Directors, and Managers can instantly identify resources lying idle and direct them towards achieving organizational goals. Automated marketing helps in an effective brand positioning. Companies can reap complete benefits of digital marketing. Supports in generating healthy leads and also in improving the conversion rate of the company. With advanced algorithms, heavy calculations can be quickly performed and that too with utmost accuracy. Automation gives more time to employees to focus on other core areas of the businesses. Reduces stress and also the unrelenting workload of the human workforce. It results in enhanced satisfaction and hence, in the reduced employee turnover rate. Business management software such as VCA consists of an inbuilt-CRM, which records every single communication between customers and the company. Support businesses in reaping benefits of a healthy relationship with customers. Encourages two-directional communication at any time and anywhere, resulting in complete customer satisfaction. This significantly impacts the buying decision of customers and encourage them to remain loyal throughout. As far as running businesses is concerned, these days, the implementation of the new VAT policy also seems to have put companies in the doldrums. Again, it is the automation of accounting tasks, which can help SMEs as well as Large Enterprises in proper bookkeeping. Companies can report to any of the leading accounting software such as Quick Books, Sage Intacct, Tally Solutions and many more. Or else, VCA business automation software is also a good option to invest in because it is designed to automate entire business processes, including finance. It means, with VCA, businesses are not required to invest in different software for every different process. It is an end-to-end business process management software. Anyways, coming back to the point. An advanced business process automation software is what SMEs, these days, seems to be counting upon. It is comparatively affordable, fast, accurate and most importantly, these cloud-based automation software supports companies in driving the overall business performance. SMEs can now have an equal opportunity to connect with global customers and perform business operations with the help of advanced technological models. With innovating technologies such as SaaS, SMEs can also evolve continuously and can also adapt to continuously changing market trends and customers behavior. An advanced automation software is what can ensure a consistent growth and success to the SMEs all over the world.